Beat together the milk and the eggs, stir in the salt, baking powder and mix to combine. Slowly blend in the flour. Set the bowl aside – covered with a kitchen cloth – and let it rest for 30 minutes. Use a blini pan (or baking pan), add vegetable oil and add batter. You’ll get approximately 30 blini’s from this mixture. Cook both sides (om medium heat) until golden brown. Meanwhile, combine all ingredients for the guacamole. Add more salt, pepper and sambal to taste. 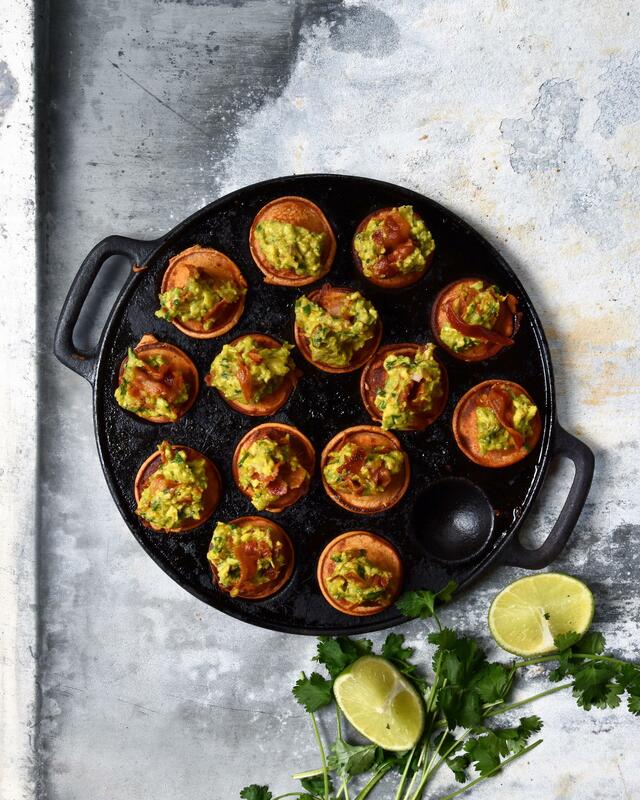 Top warm blini’s with guacamole and serve immediately.